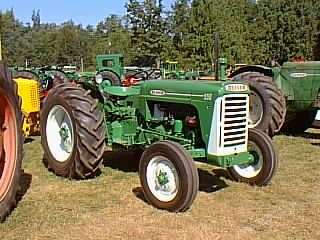 This tractor was a replacement for the Super 55 Utility model. It could be ordered with fixed wheel tread and the 2000 RPM engine could be obtained in a gas or diesel version. The tractor was sold in Canada as the Cockshutt 550.